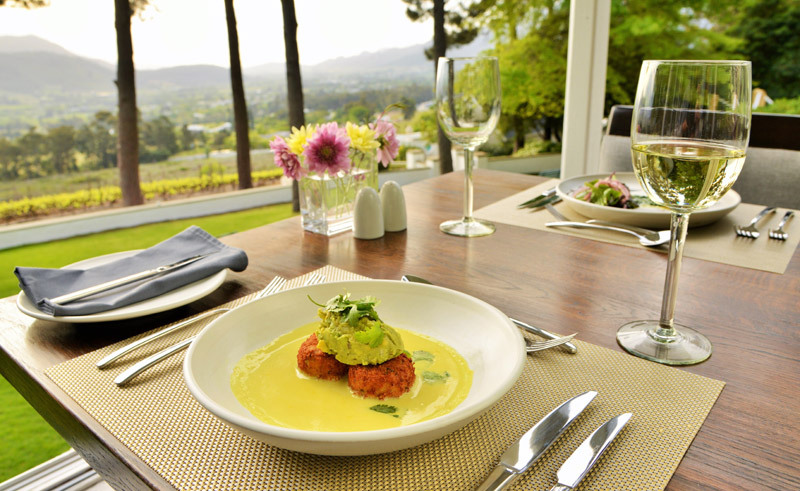 La Petite Ferme is idyllically located on the mountainside, overlooking the lush landscape of Franschhoek Valley, yet located only a short drive from the centre of Franschhoek and its shops and restaurants. 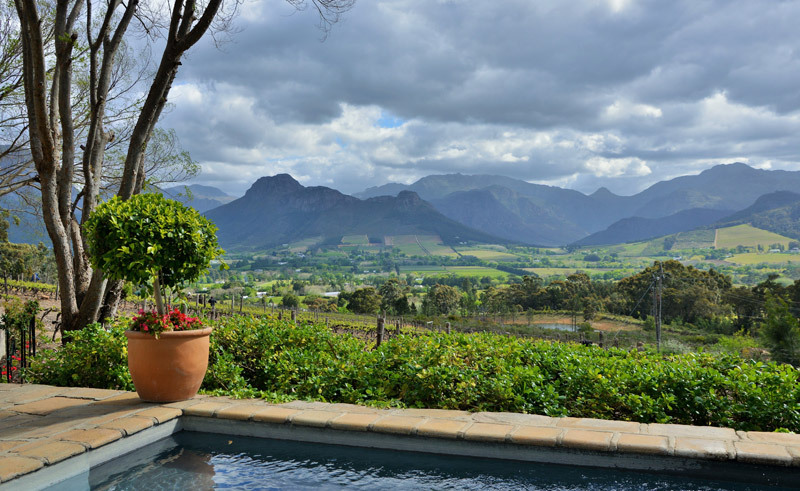 A working vineyard and boutique wine estate, this guesthouse is an intimate haven of peace, country charm and exquisite natural beauty. 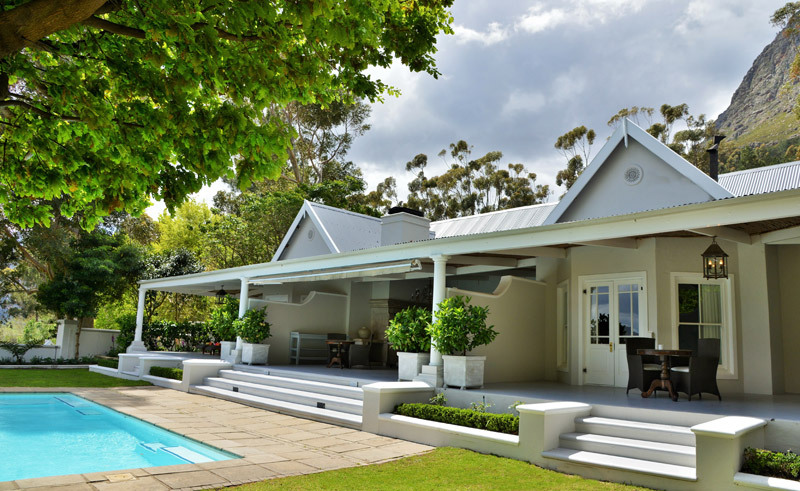 Five Vineyard Suites feature private verandahs and splash pools, while the four Manor Houses share a farm-style building and pool. 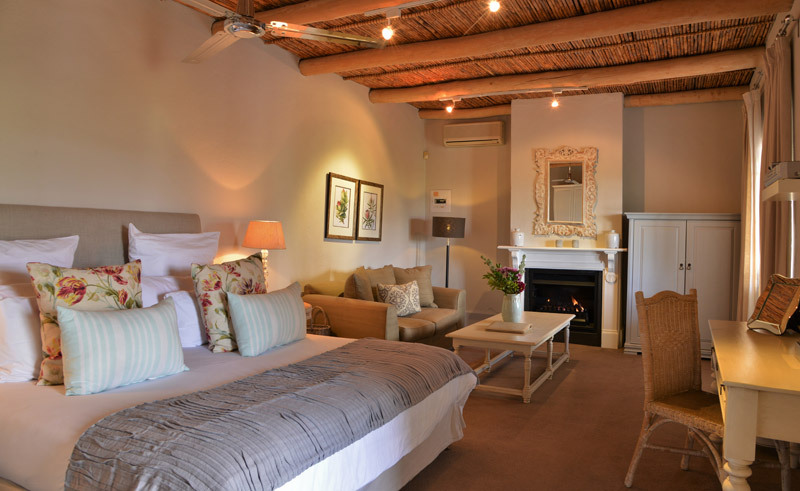 Individually decorated in classic, contemporary elegance all suites offer breathtaking vistas. 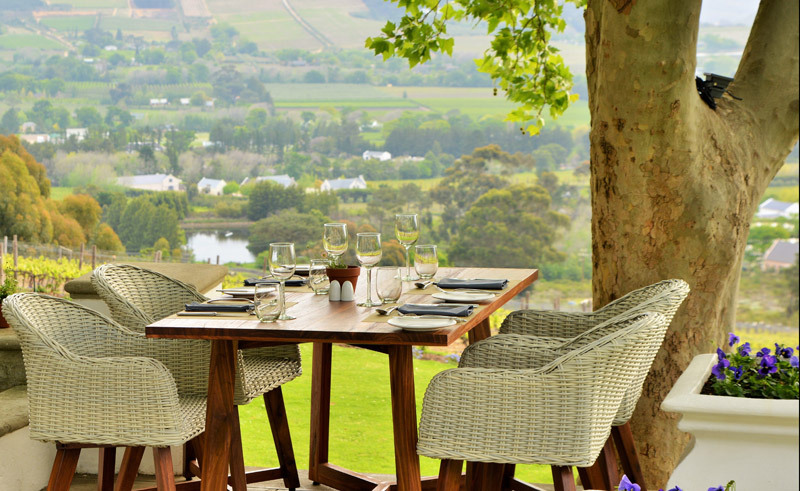 Wander through extensive gardens and visit the winery where artisans lovingly hand craft world-renowned wines. Enjoy sumptuous meals in the award-winning restaurant with its sophisticated atmosphere and superb service.